“I’m a man of my word.” He moved forward, entering the parlor. He looked back at Ines for a moment, but it was Catarina who held his gaze. The younger sister said something in Portuguese. He knew a bit of the language, but he wasn’t paying enough attention to translate. Then the younger sister exited to the bed chamber and he and Catarina were alone. Her dark eyes flashed fire before she quickly lowered her lashes. There was the temper he knew so well. She was attempting to control it for the moment. “Nor did you claim me. Do you know how long I waited for you to return?” Her brows rose in challenge. She’d waited for him to return? He hadn’t known that. He’d always assumed she’d used their marriage to escape. Had she felt something for him? Perhaps he wasn’t the only one who’d been affected by that kiss. A knock on the door interrupted them, and Ines hurried out of the bed chamber to answer. Benedict fell silent as the young woman ordered tea and cakes before slipping back behind the door, where she was most certainly eavesdropping. Her brow creased in a way he found quite adorable. “I cannot sit until you do, Mrs. Draven,” he explained. She gave him a withering look but took her seat. He followed, sitting on the couch she’d offered him. They sat in silence for a moment, the sound of the crackling fire the only respite. She was so lovely. When he’d first met her, there’d been something wild and fierce about her beauty. Now she looked perfectly polished and sophisticated. Only her eyes gave a hint that she was that same untamed woman he’d married all those years ago. Silence descended like a shroud. He’d known an annulment was what she wanted. He’d come willing to grant it to her. After all, the marriage wasn’t valid. He’d never considered it so, but he understood that her religion was important to her. She considered the marriage valid and could not in good conscience marry another man without annulling it. “You have papers for me to sign?” he asked. Her eyes widened. “Yes.” She might have been surprised at his easy acquiescence, but she didn’t let that forestall her. She jumped to her feet, forcing him to rise as well, and collected a sheaf of papers that had been sitting on a side table. “I do not have a pen,” she said, looking about distractedly. “We can send a servant for one. Let me see them.” He held out his hand. She gave them and took her seat again. He sat as well, looking over the request to the Pope for the granting of the annulment. But he could hardly focus on the words. His eyes kept returning to Catarina. She sat nervously pleating her skirt. Was she nervous he would not sign or nervous he would? She didn’t know him, and he didn’t know her. Well, he knew she had a temper. He knew she could be impulsive and stubborn and determined. He knew her lips were like silk when he kissed them. He’d come willing to grant the annulment. He should grant the annulment. She was young and at the very beginning of her life. He had already lived what felt like two lifetimes. She’d only married him because she’d been desperate to escape the abusive man her father had promised her to, and his name would give her protection. She hadn’t wanted him. She did not want him. What could she possibly want in a man old enough to be her father? But how would he ever know if there could be something more than desperation between them if he granted the annulment? And was he hoping to be humiliated? That was exactly what would happen when she laughed at the very suggestion of giving their marriage a chance. Not that he was entertaining that suggestion. “It would have been easier to say you know him well or you love him. Why refuse to discuss it?” Why did he care? Why not sign the papers and let her go? She rose, the skin of her neck coloring. “Because it is not your concern.” The flush rose from her neck to her chin and her cheeks. He raised a brow at her show of temper. She wanted this badly, but something was not right. He had the same sensation now that he’d often felt when a battle did not end in his favor. In battle, there was a point when he realized he’d been flanked or the reserves would arrive too late or his enemy had a better position. At that moment, he felt a wave of dizziness. It wasn’t enough to unseat him from his horse or make him stumble, but it was enough to disconcert him. Benedict felt dizzyingly disconcerted now. “I still don’t have a pen,” he drawled. Her expression turned from anger to fury, and he wondered if she would throw something at him. He also wondered if she could possibly look more ravishing than she did at this very moment. But before she could reach for the closest object, a tap sounded on the door. Catarina smiled in triumph. She lifted her skirts, but Benedict held up a hand. “Allow me.” He strode toward the door and opened it. But a servant with a tea tray did not wait outside. Instead, a man a few years his senior stood there. “You must be Colonel Benedict,” he said. Benedict immediately recognized the Spanish accent. can’t seem to forget her. desperate, and subject to the whims of her cruel father. enough to ask for what she really needs? How do you solve a problem like Catrina? 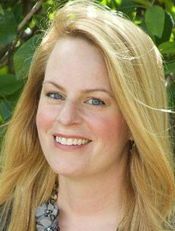 Shana Galen is the bestselling author of fast-paced adventurous Regency historicals, including the RT Reviewers’ Choice THE MAKING OF A GENTLEMAN. 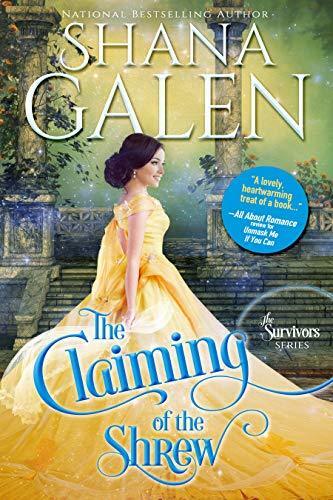 Booklist says, “Galen expertly entwines espionage-flavored intrigue with sizzling passion,” and RT Bookreviews calls her “a grand mistress of the action/adventure subgenre.” She taught English at the middle and high school level off and on for eleven years. Most of those years were spent working in Houston’s inner city. Now she writes full time. She’s happily married and has a daughter who is most definitely a romance heroine in the making. Shana loves to hear from readers, you can reach on her Website or see what she’s up to daily on Facebook and Twitter.